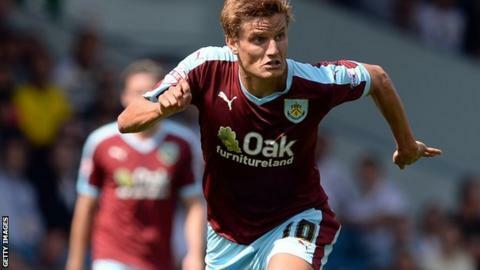 Burnley striker Jelle Vossen has joined Belgian side Club Brugge for an undisclosed fee, less than two months after signing for the Clarets. Vossen, 25, made five appearances for Sean Dyche's team after joining from Genk in the summer. The Belgium international spent last season on loan at Middlesbrough, scoring seven goals in 33 league games. Brugge, knocked out of the Champions League by Manchester United last week, are third in the Belgian top flight.